I have not found time to post for a while and so I am about a month behind what we are doing currently in class, which is working on our final projects. You can now trace the progress of the final projects by checking out each group's blog, linked to in the upper left hand corner of this site. The pictures included with this post show some of the more interesting games from the first half of the class. We stuck to arts and crafts design for these. For the final projects, all groups must use Photoshop and produce a design that can be easily modified and mass-produced. 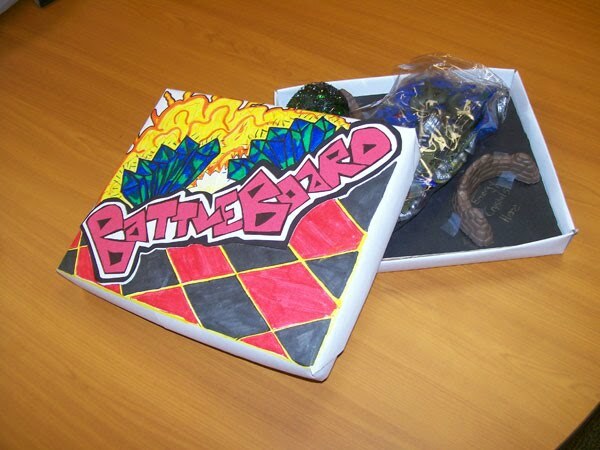 Students even took the initiative to design boxes for their games, some of which, like that for Battle Board above, lent an air of excitement to the game. 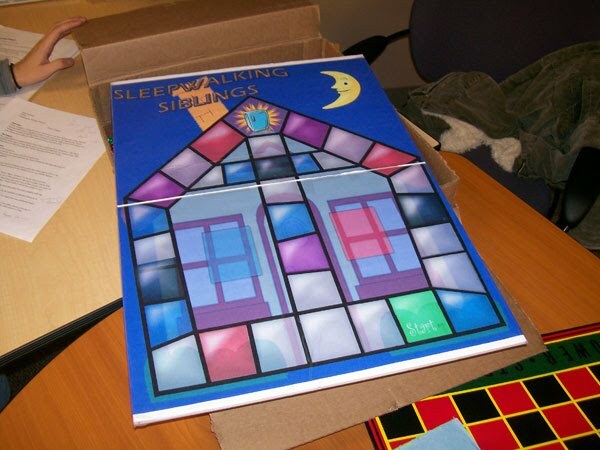 One of the most unusual games was Sleepwalking Sibs, in which players were little babies trying to find their way to the refrigerator for a midnight snack. The basic game play seemed to depend too much on chance, but I thought the game board had a nice design and the narrative element was strange but amusing and whimsical. By far the most popular game at our midterm "Game Day" was Sibling Rivalry, which required players to perform somewhat embarrassing acts (from singing to dancing to doing jumping jacks) if they received a Dare Ya card. Everyone thought it was a fun party or family game and that the concept was the most promising of any we saw at midterm. 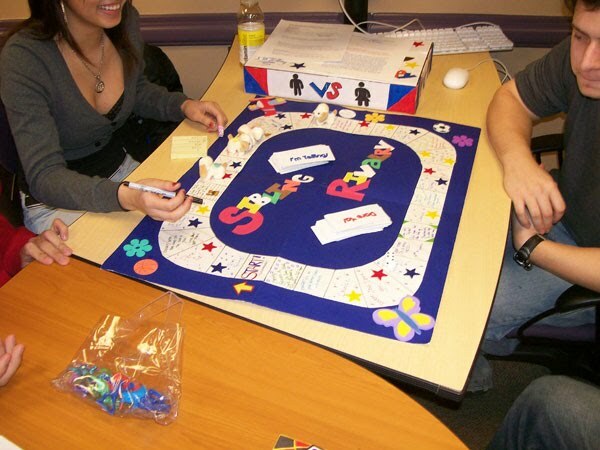 The same group has gone on to develop a similar game but with a much more interesting board design and the title "Supernova! The game that will blow you out of your chair!" 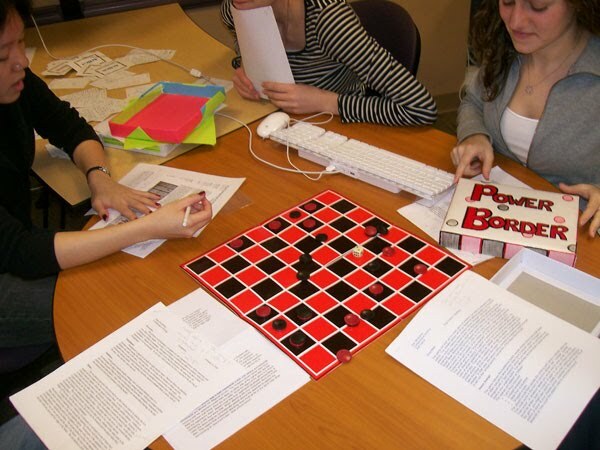 My favorite 8x8 game was Power Border, which begins with the checkers arranged around the perimeter of the board. I also think that the game play is the most interesting of any that I tried.